If you thought only an old home or an old pipe is prone to leaks, then you’re blatantly wrong. Yes old homes often have more water leaks than new ones, but that doesn’t mean brand new pipes do not leak. Any sort of malfunction in the whole system could lead to breakage, and the water ends up dripping onto sensitive material and it would even soak the most essential elements holding the structure together. The laggard attitude towards water leaks ends up in hefty water bills and massive repairs later on. 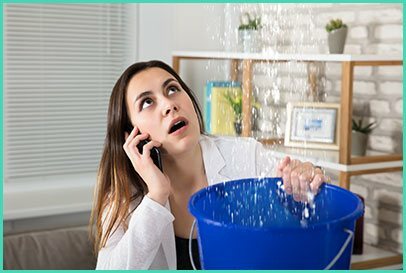 With your foresight, it’s always better to spot the leak at the beginning stages with the help of water leaks detection services from West Palm Beach Restoration Company. Did you know those secret leaks can end up leaving you waterless for days? Broken waterlines need fixation, and that too an immediate one. 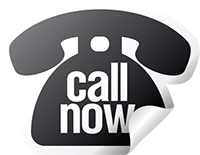 When in such emergency cases, give us a quick call on 561-404-8238 and we’ll be there at your doorstep, wherever you are in West Palm Beach, FL area within a span of 30 minutes. We can spot the breakage in the waterline, and with the usage of snake imaging camera and other acoustic equipment, we can spot where the problem lies. It is estimated that a major amount of water consumption is due to water leakages. Albeit small, the kitchen faucet’s leaks can end up consuming a massive amount of water and eventually hand you a blaring number on the water bill. Moreover, when these are left unchecked, they end up causing a massive repair at the end of the day. The damages caused by water leaks can be massive. From swelling of walls, mold formation to corrosion of pipes- the list is quite endless. Water leaks must never be left unchecked, and for that you need to follow it from the beginning stages of it all. West Palm Beach Restoration Company is an expert in detecting leaks, fixing it and thereafter drying the affected area to hinder the growth of mold and other bacteria. Prevention is better than cure, and even if that’s the most clichéd statement ever out there, there is nothing quite as truthful as that. Your one step towards preventing it all can go a long way. When our team visits your place, it ensures that it takes numerous preventive measures to prevent any further damage from happening. It can be something as simple as changing the existing pipeline, or setting up advanced leak detection equipment onto the pipeline. The best way to protect your space from flooding due to broken pipelines is to perform annual checks of your pipelines, valves and hydrants. When you sign up with us for annual leaks inspection in West Palm Beach, FL area, you can get your water lines checked from time to time, to keep it all working in a top-notch manner. Want to spot that pesky hidden leak? Then call us on 561-404-8238.